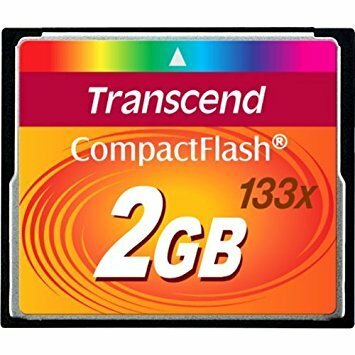 Transcend 2GB CompactFlash Card (133x) targets users who demand superior performance at a lower price. Suitable for both photo enthusiasts and professional photographers. Inside this card, the MLC microchip ensures ultimate compatibility and speed by operating in both dual-channel transfer and Ultra DMA mode-4 standards.